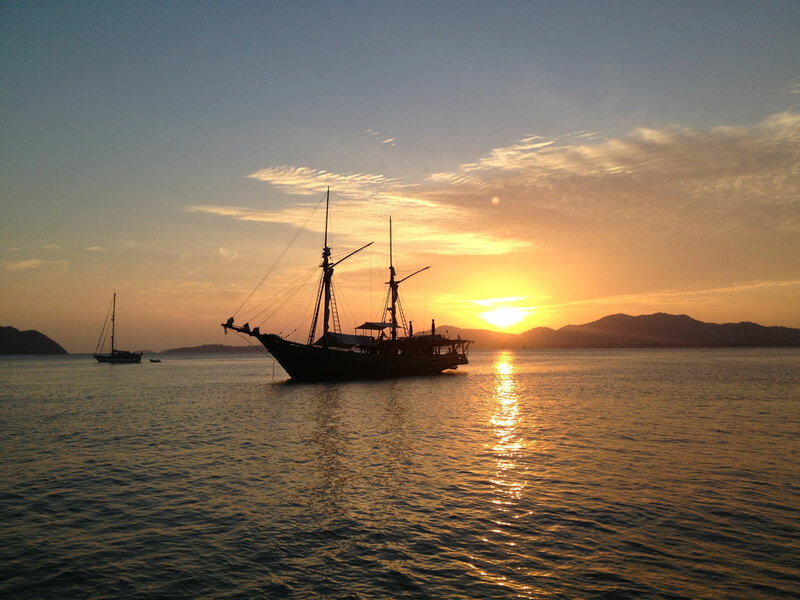 I noticed that I have never given an overview of our cruising and sailing in Thailand in the first half of 2013. Just to let you know that we won’t be back there for next season but we enjoyed the Thai hospitality and beautiful sailing grounds. We will sail further east in 2014 and will discover the Pacific Ocean. I would like to share my favorite places & anchorages with some tips and recommendations. Please note that’s only a small collection and all the anchorages will depend on season and actual weather and sea conditions. 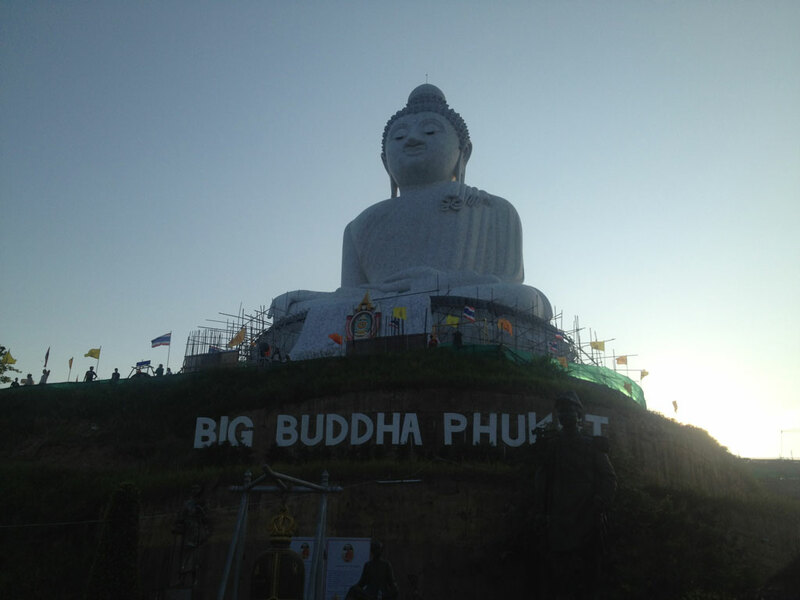 Phuket is easy to reach from oversea with it’s international airport. 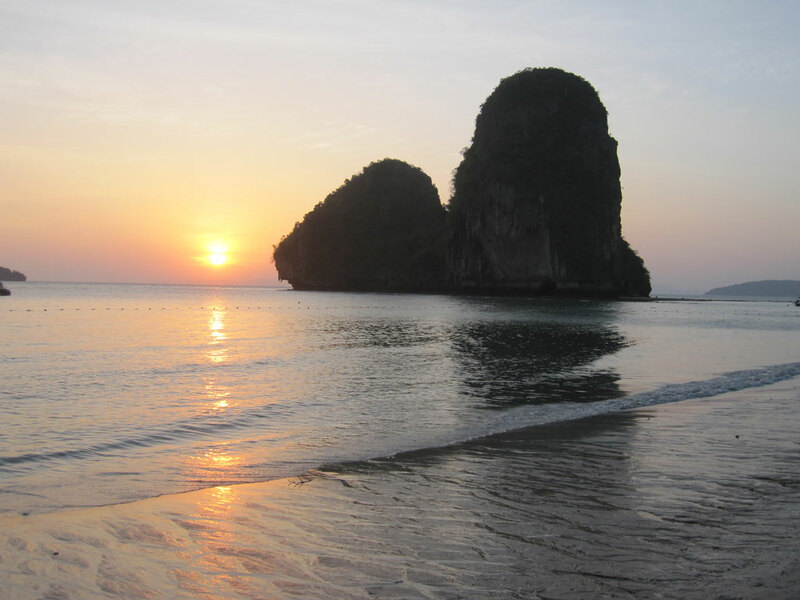 We have sailed north from Singapore along the Malaysian coast and some of the Thai islands (Koh Lippe, Koh Phi Phi) until reaching Phuket from the south. In the south Ao Chalong Bay is a huge protected bay and perfect as port of arrival with a “one-stop” clearance facility. The office is just at the end of Ao Chalong pier and combined all necessary department for arrival and departure paper works. If you have the choice, I would not recommend to use the “mooring buoys” as I heard some “horror story” about breaking lines or dragging of the buoys through half of the bay. The advantage is the proximity to the Ao Chalong Pier and tender dock. We anchored at the other side of the bay, in front of some of the resort hotels and with our nice tender it was only a quick ride to cross the bay. 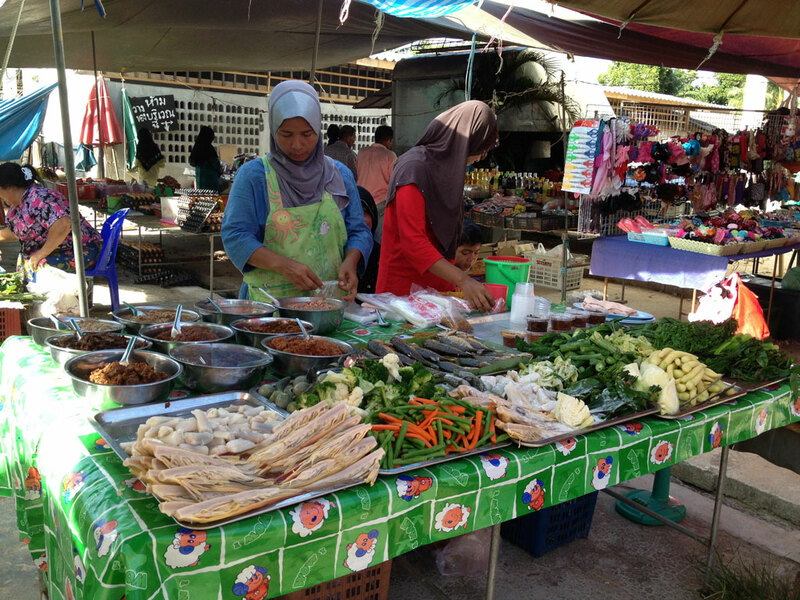 Ao Chalong is than a very strategic place for shopping and provisioning but also some of the sightseeing places like the Big Buddha or the beautiful Ao Chalong temple are near by. If you are looking for a marina spot in Phuket, I would definitively recommend Ao Po Grand Marina. The marina staff is incredible helpful and friendly. The marina is up in the north/east in a quiet area. 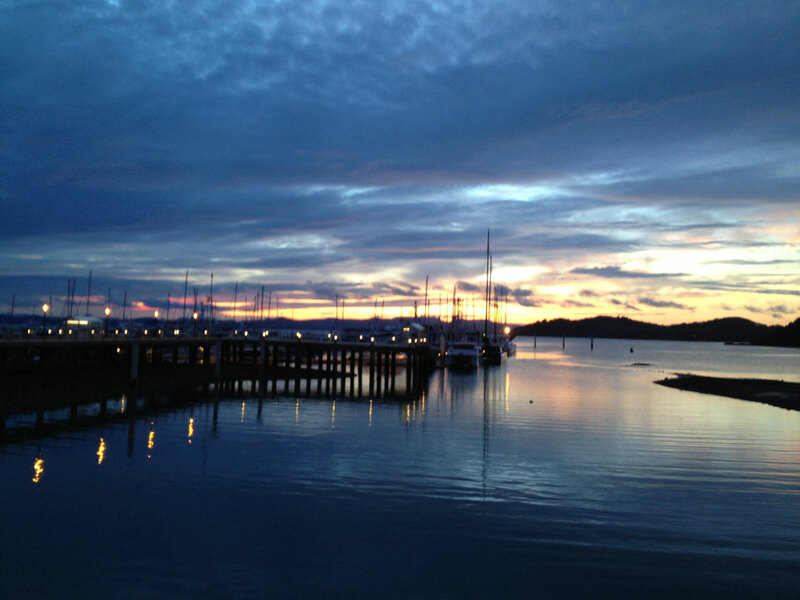 The marina is close to the airport but a bit far from Phuket Town. The only down-side of this marina, I could think of are the mosquitos at dawn – but they can be found a bit everywhere. If you are looking for some ship chandleries, you have a bigger choice at Boat Lagoon, the big inconvenience of this marina is that the access channel can only be used at high tide (by boat) and the staff is far not as friendly as at Ao Po Marina.There are a lot of other anchorages around Phuket and countless things to do. There are a couple of beautiful anchorages and the whole place is just incredible. There are a couple of “routes” to take and to follow as elsewhere you risk uncharted rocks or shallow waters. 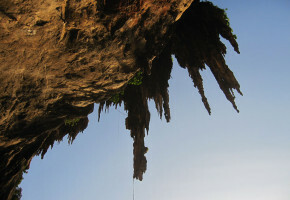 The “hongs” are not to be missed, these are hidden “pirate” caves / holes in the island and often not accessible at high tide. 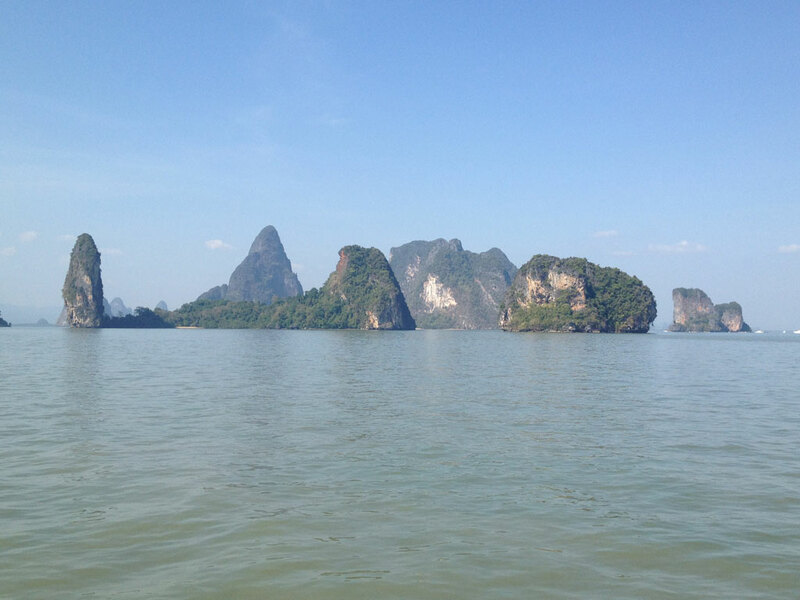 We avoided the “actual” James Bond Island, as it was always full of tourists and most of the other islands are as spectacular. 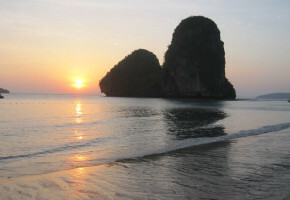 Krabi is part of the main land but isolated and definitively provides tropical island feeling. 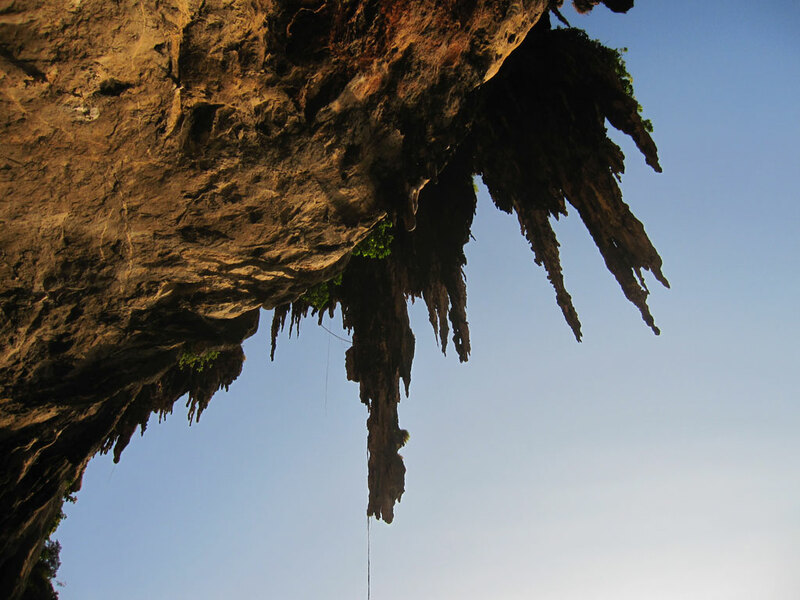 It’s know for the free climbers on the impressive rock formations. There is a nice climbing (no harness required) trail to the top with beautiful view over both coast lines. 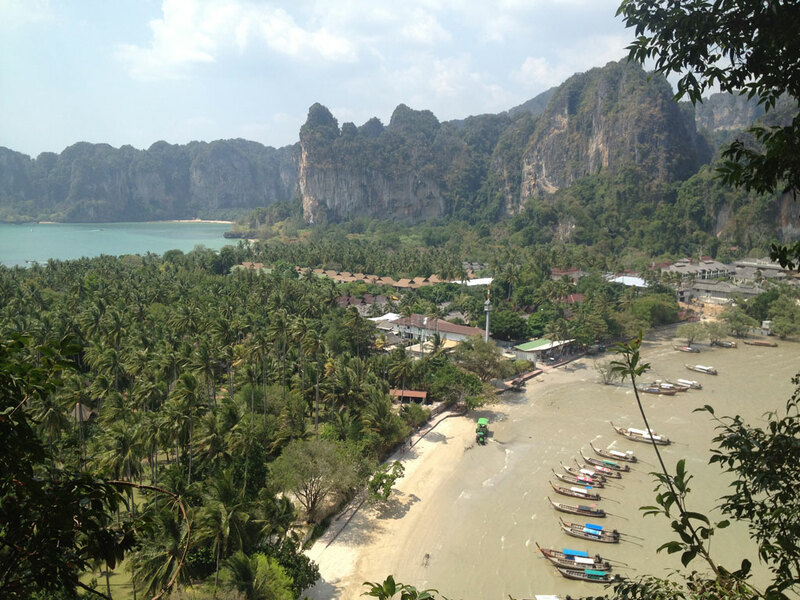 We anchored in front of Krabi or between the two small islands not far. One of the must seen in the area. Beautiful beaches and lots of entertainment ashore. 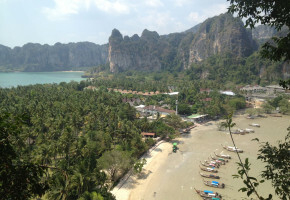 The tide range in Phi Phi is impressive as during low tide the beach is just huge. We like to go to the smaller island in the south Phi Phi Le in the late afternoon and moor up to one of the provided mooring buoys. As when all the day trip tourists are leaving and the famous and beautiful beach gets empty – it’s just magic. There are turtles swimming around the boat and lots of colorful fish. The two small “hins” in the south also provide nice diving areas with crystal clear waters. 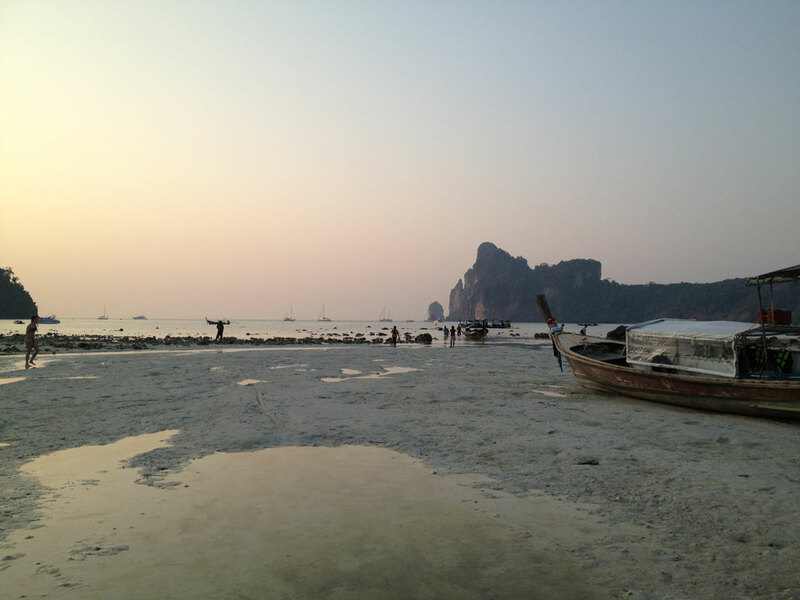 We stop in the south of Koh Lanta and this island provides a different atmosphere compared to Koh Phi Phi or Krabi and definitively worth being discovered. 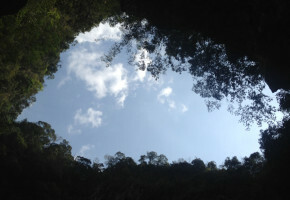 We went to see the waterfall as it was in dry-season it wasn’t as impressive but a very nice walk in tropical jungle. 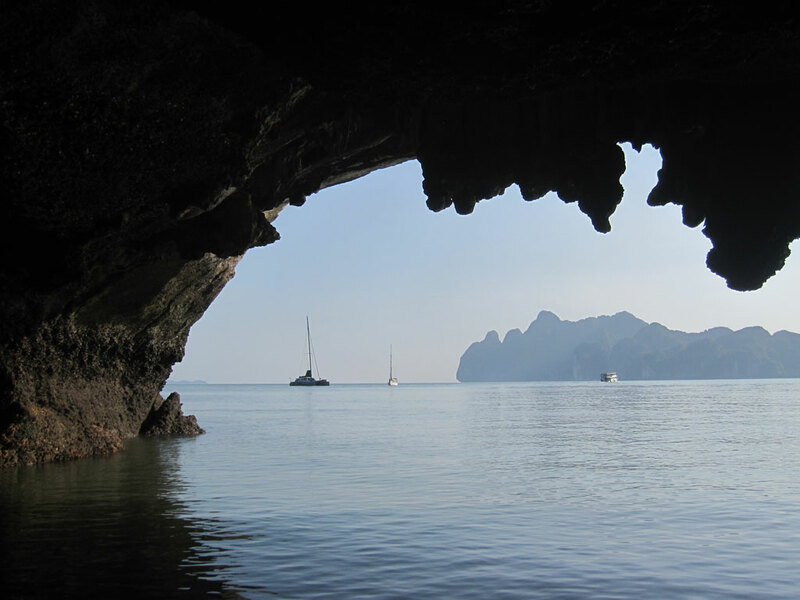 If in the area, don’t miss the Emerald Cave on one of the islands south of Koh Lanta. Here again, if you want to experience the magic surrounding and white sand beach quietly, you better come early or late or just schedule to pass in between two groups of day trip tourists. 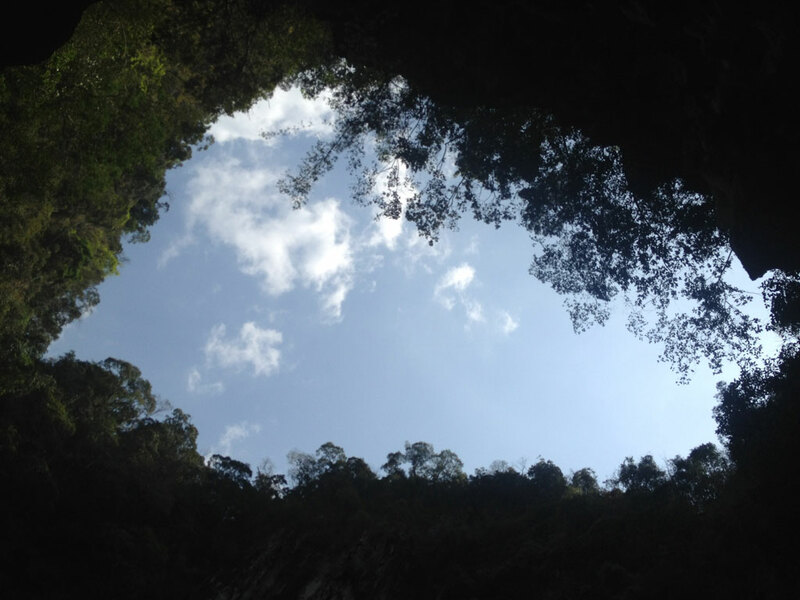 These islands are situated just in the South of Phuket and are real gems. Koh Racha Yai provides nice overnight anchorages and Koh Racha Noi dessert beaches for snorkeling and relaxing. As mentioned above, this is only a small selection of the islands and nice anchorages, there is so much to discover and to enjoy, don’t forget to taste the local food. Just let me know if you have any specific questions and I will be happy to answer them the best I can. 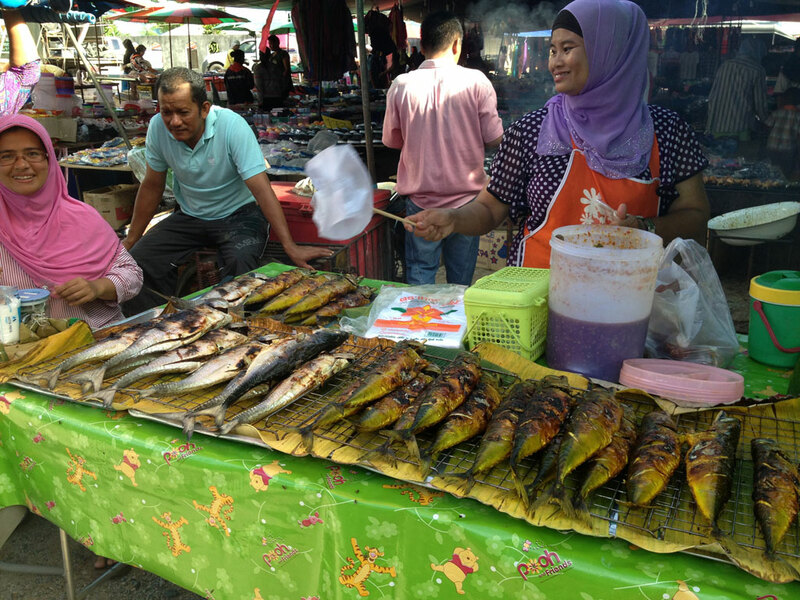 Here some more impressions from the local market close to Ao Po.